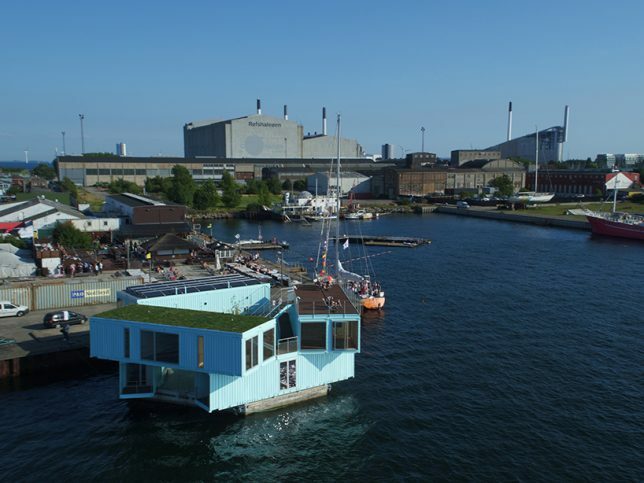 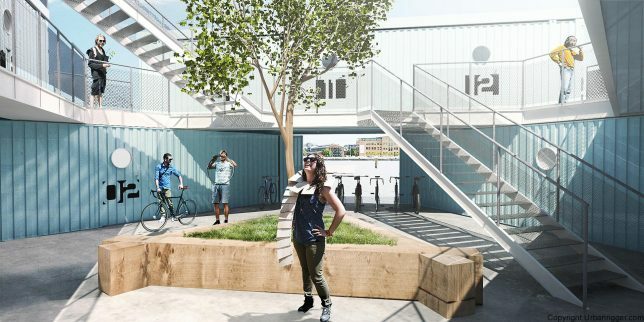 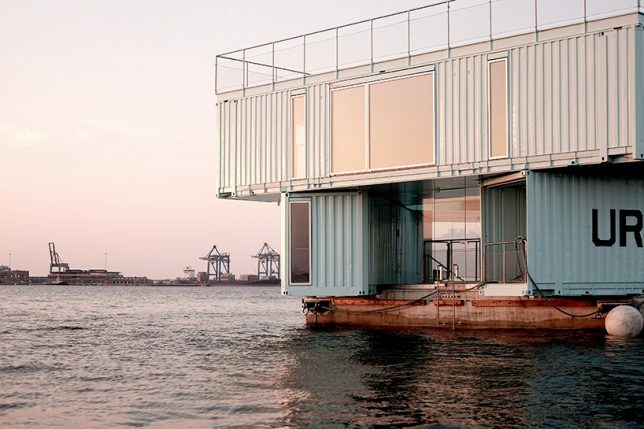 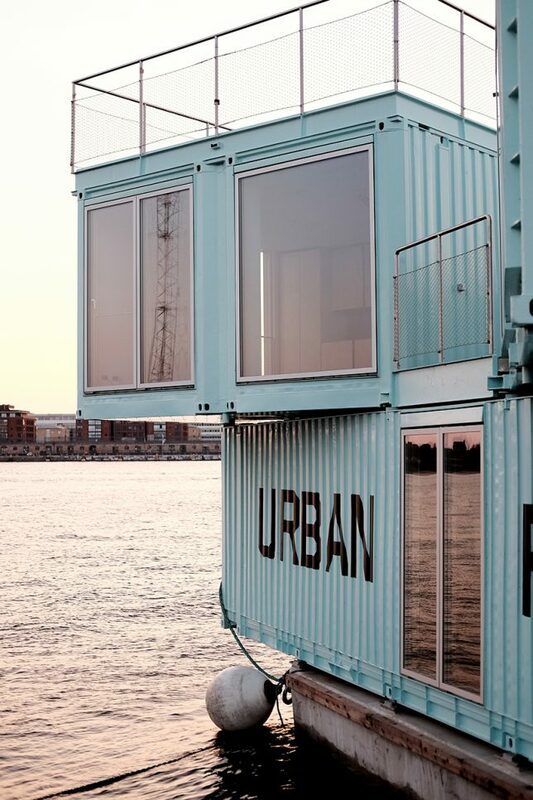 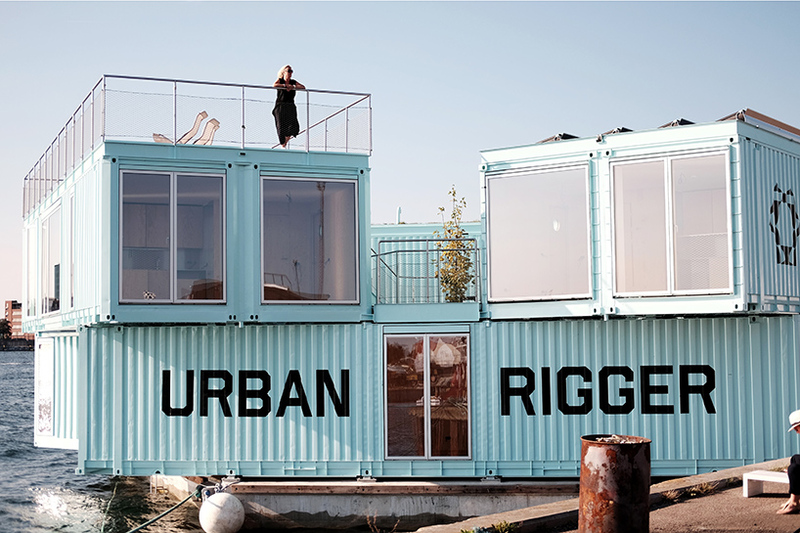 This hexagonal floating student housing complex made of stacked reclaimed shipping containers is better than any dorm you could hope to live in. 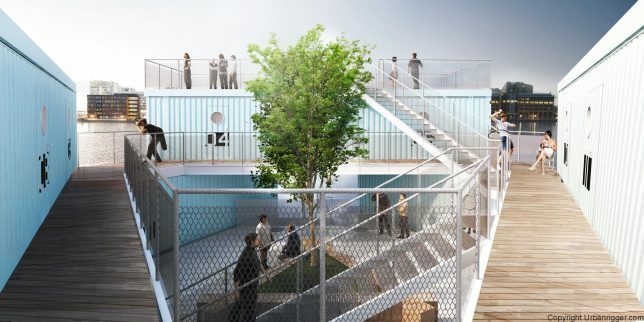 ‘Urban Rigger’ by Bjarke Ingels (BIG) creates a sustainable solution to the pressing need for additional accommodations for students in the city, providing 15 living spaces arranged around an internal courtyard. 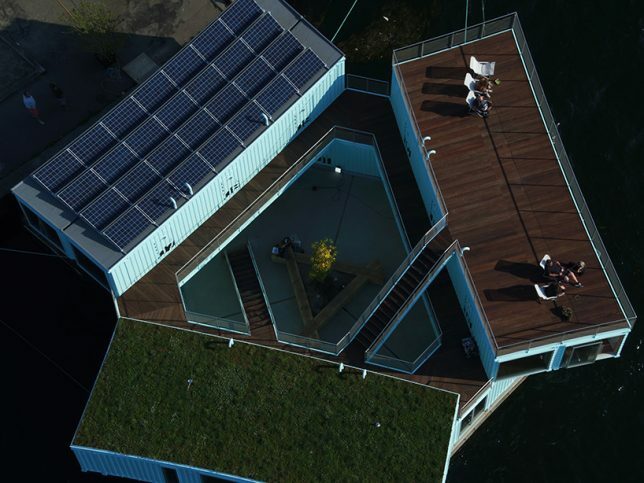 Completely carbon-neutral, the structures are solar-powered and make use of hydro source heating and low-energy pumps, and the first unit opened to the public on September 21st. 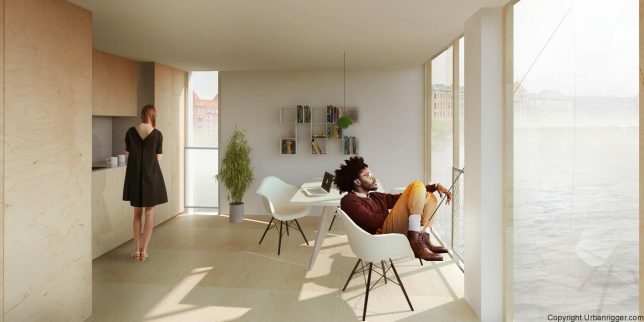 Each apartment is available to college students at $600 per month and includes a private bedroom, bathroom and kitchen. 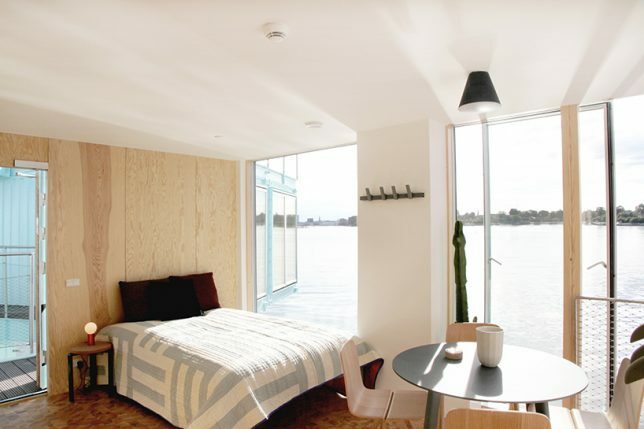 Occupants get access to the courtyard as well as a kayak landing, bathing platform, barbecue area and roof terrace. 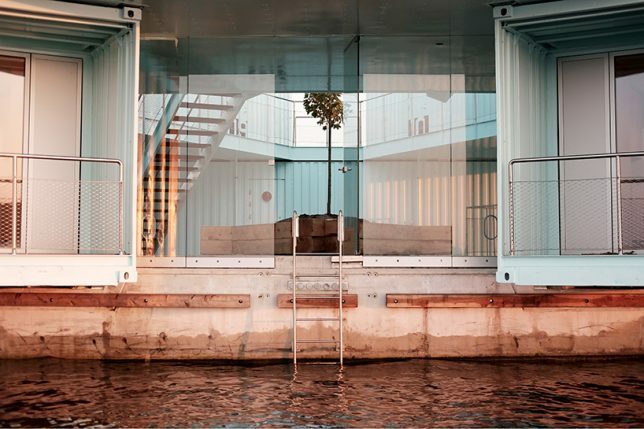 The pontoon basement features storage zones and fully automated laundry. 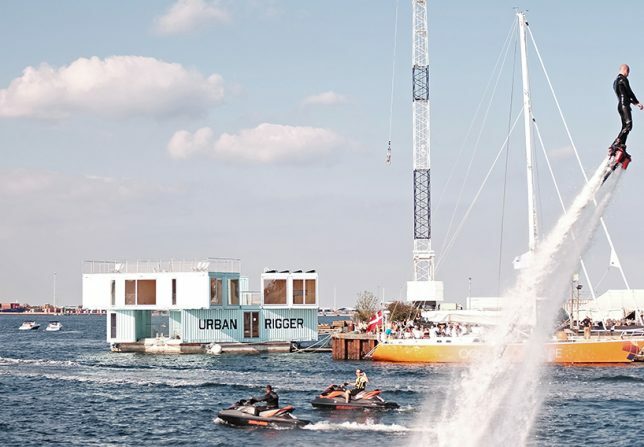 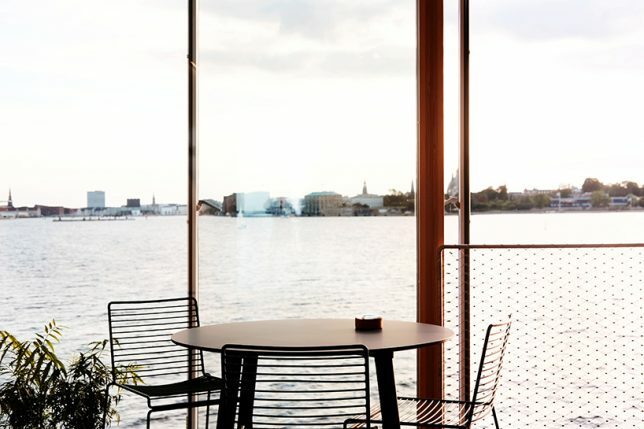 It’s a pretty sweet deal for students, who get to gaze out of giant windows at the sunset every evening and enjoy a water-centric lifestyle that most adults only dream about. 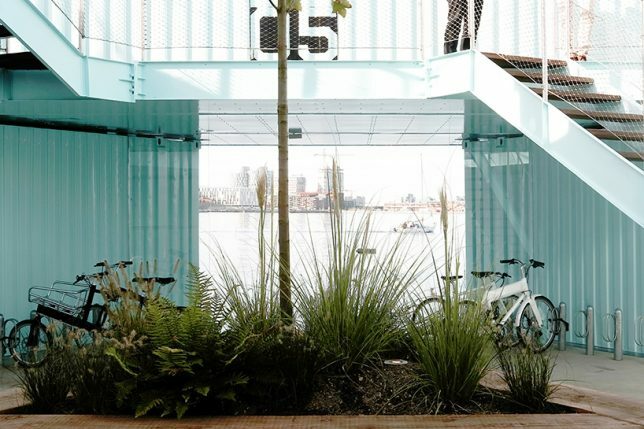 Making use of the harbor ensures that students get to live close to the school, instead of far outside the city, where most affordable units are located. 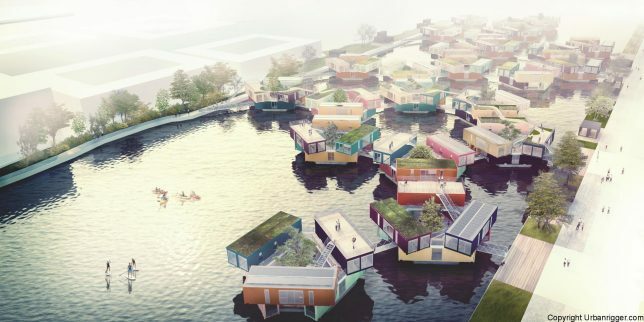 Eventually, BIG plans to create entire communities made up of multiple structures.